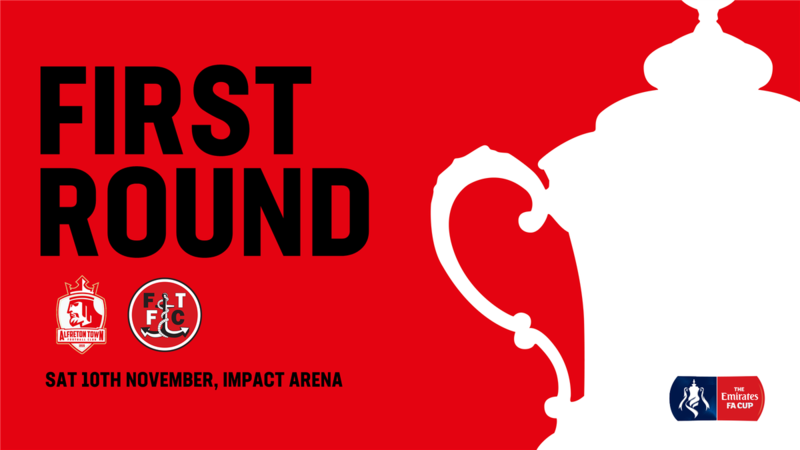 ATFC have been drawn at HOME to League One Fleetwood Town in the First Round of the Emirates FA Cup. It will be the Cod Army's first visit to the Impact Arena since the 2011 Blue Square Bet Premier fixture when a certain Jamie Vardy scored a hat-trick in a 1-4 win for Fleetwood. The tie is scheduled for the weekend of 9th November, with the fixture likely to be played on Saturday 10th November. Further details, including admission; will be announced in due course.